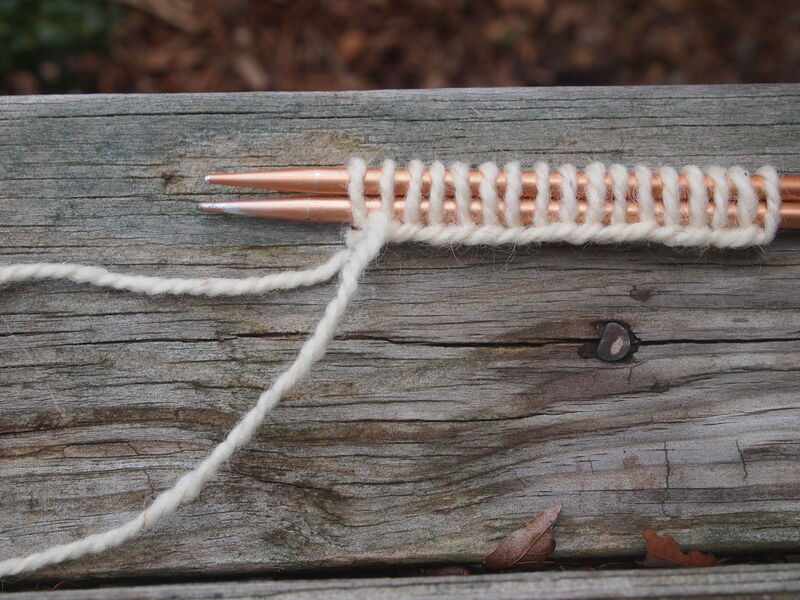 Some people will tell you to do a long-tail cast on with a larger needle or with two regular needles doubled up. Then pull out the extra needle. But why? Doesn’t that mean you’ll just end up with loose stitches but the bottom part still tight? When you let the stitches relax, look what happens. 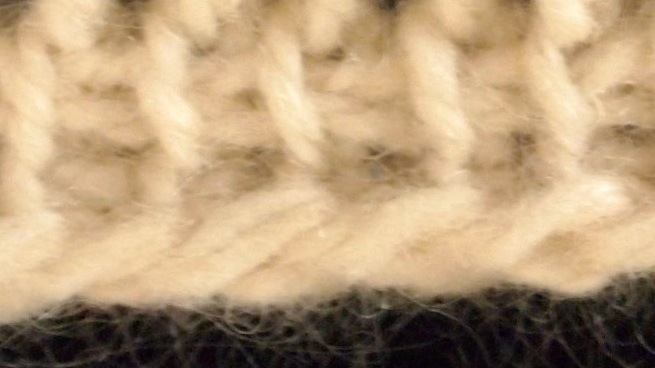 The bottom part has moved up into the stitches, kind of shortening them, and the whole thing is more relaxed. It will only work up to a point, but it’s a lot better than you might think. Let’s have a look at the same thing in Tunisian crochet. I used a knitting needle with my Tunisian hook because it would be harder to pull another hook out. Thanks! I don’t think it’s my idea originally, but it explains something I haven’t often seen spelled out. Interesting. I’ve always thought that the doubled needle didn’t work very well for loosening long tail cast on. Now I’ve got to go experiment.